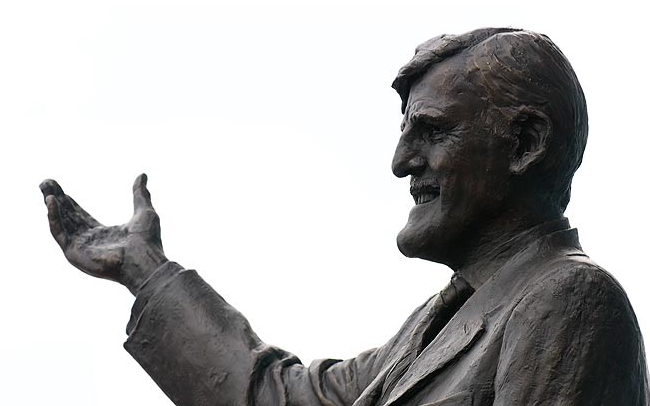 Former Coventry City manager & Chairman, Jimmy Hill’s ashes are to be scattered in a short service at 1pm this afternoon at the opening of his memorial garden at The Ricoh Arena. Ahead of this afternoon’s final home game of the season at the ground against Sheffield United, the Dean of Coventry Cathedral will open the garden and lead the ceremony where fans are being encouraged to attend. Fittingly, it was exactly eleven years ago today that Hill led The Sky Blue Army in a moving rendition of The Sky Blue Song, as they said goodbye to Highfield Road for the last time with a 6-2 victory over Derby County – the ground Hill made the first all-seater stadium in England. Jimmy Hill joined Coventry City as manager in 1961, leaving six years later shortly after winning promotion to the First Division for the first time before lating becoming Chairman of the Sky Blues. The former Match of the Day presenter was diagnosed with Alzheimer’s in 2008 and died on 19 December, aged 87.